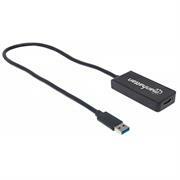 Easily connect a Mini DisplayPort source with an HDMI, DVI or VGA display. 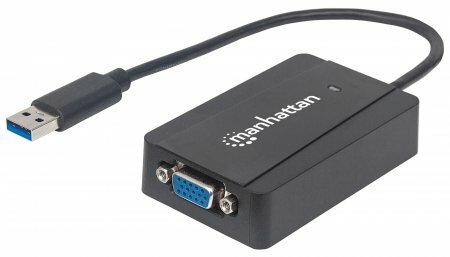 The Manhattan 3-in-1 4K Mini DisplayPort Adapter establishes a fast, simple and convenient link between Mini DisplayPort-equipped sources and existing 4K HDMI and 1080p DVI and VGA displays. 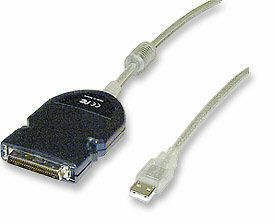 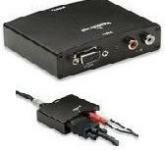 The adapter is easy and quick to install and requires no complicated configuration or setup. 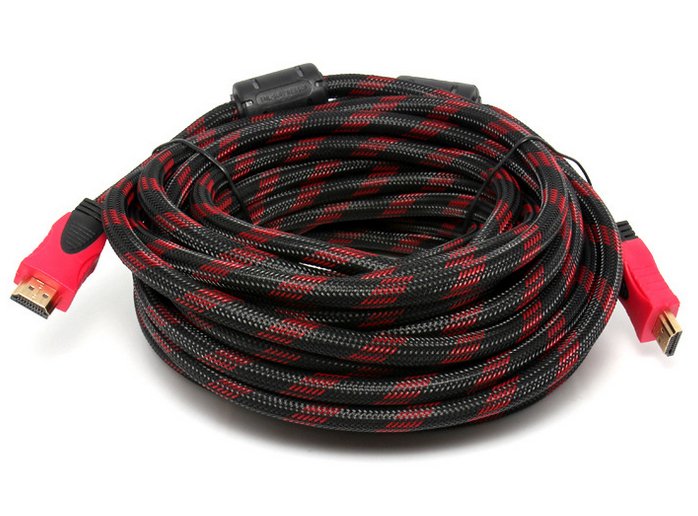 It offers a passive, compact and integrated solution that eliminates unnecessary cables, tangles and clutter to keep installations and workspaces neat and orderly. 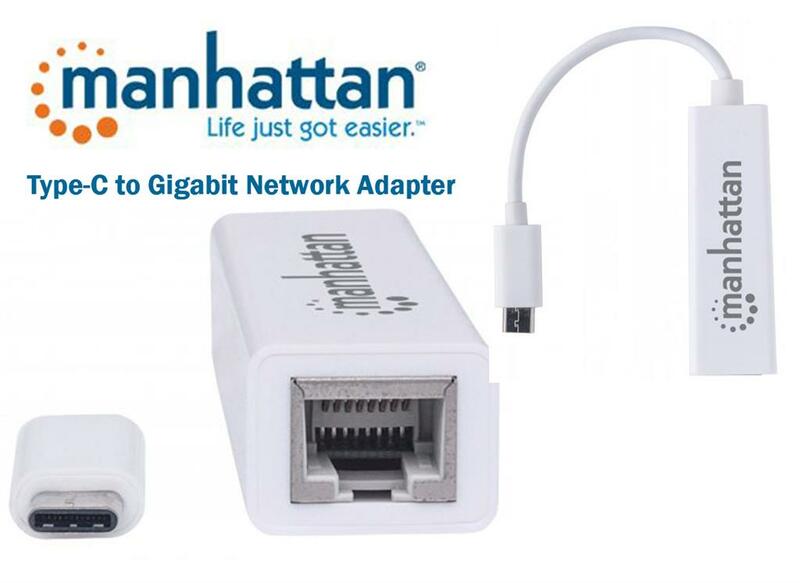 Manhattan Type-C to Gigabit Network Adapter - SuperSpeed USB 3.1 Gen 1 (5 Gbps); 10/100/1000 Mbps Gigabit Ethernet, Retail Box, Limited Lifetime Warranty. 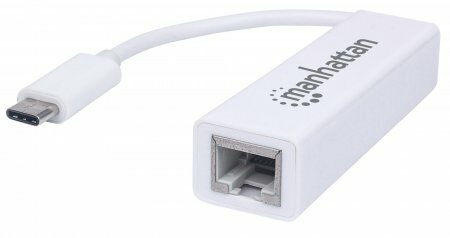 The Manhattan USB-C to Gigabit Network Adapter is a compact, high-performance network adapter that allows you to upgrade your desktop or notebook computer to operate at 10/100/1000 Mbps speeds on the LAN. 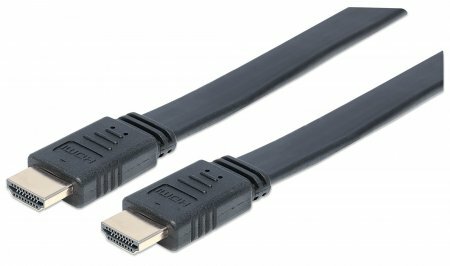 Your device has a Type-C port? 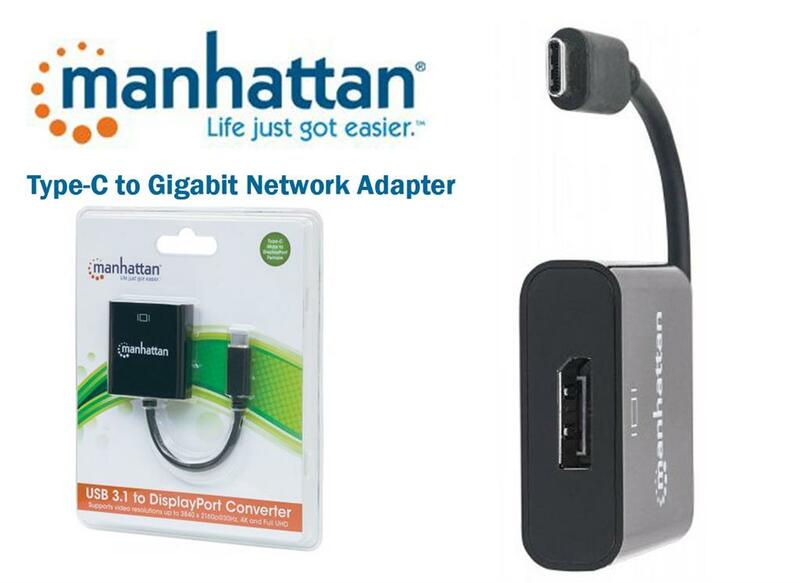 Then the Manhattan USB-C to Gigabit Network Adapter is for you! 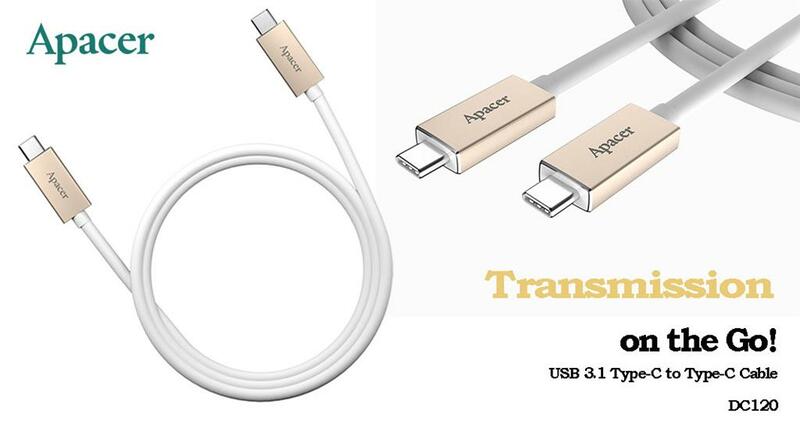 From Windows®-based Ultrabooks (like the Dell™ XPS or Acer® Aspire series) to Chromebooks™, and Apple Macbooks® to laptops and desktop PCs, as long as your device features a standard USB Type-C™ connector, you are good to go. 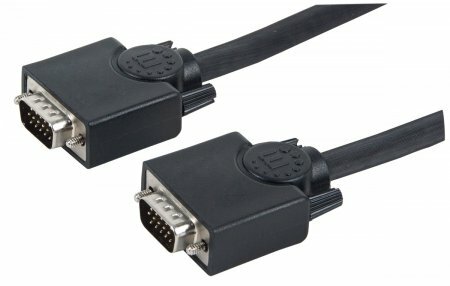 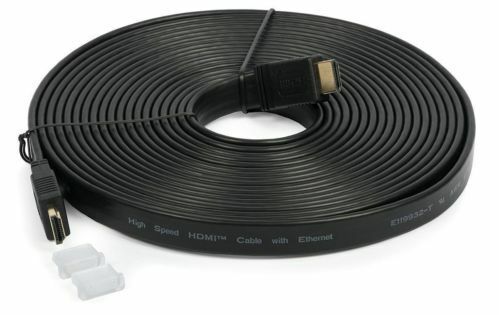 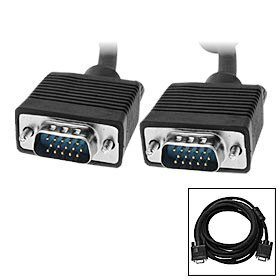 The Manhattan iLynk AV Cable-Composite video, 30-pin connector, USB connects to your device or a universal dock via the 30-pin dock connector, and to your TV, home cinema receiver or stereo receiver via the composite video and red/white analog audio ports. 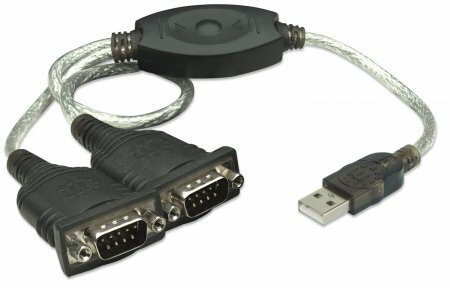 The cable also features a USB connector that you can plug in to a power source. 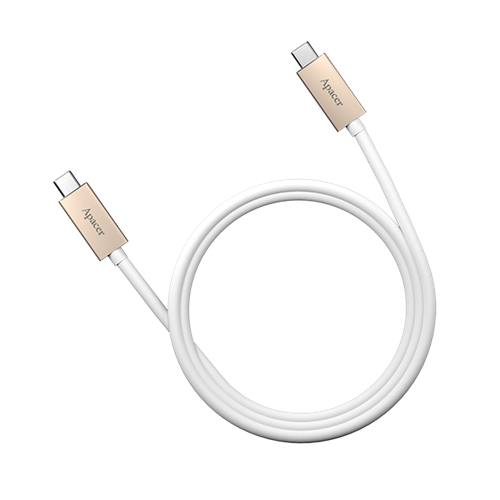 The compact design also makes this cable very portable so you can take it with you wherever you go and easily share your content. 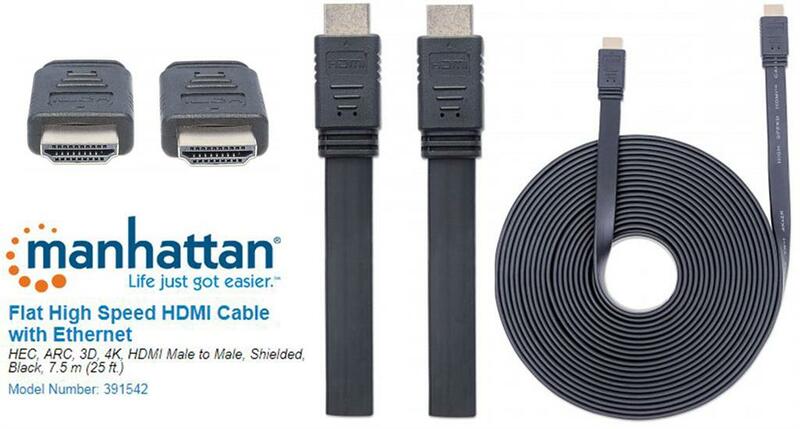 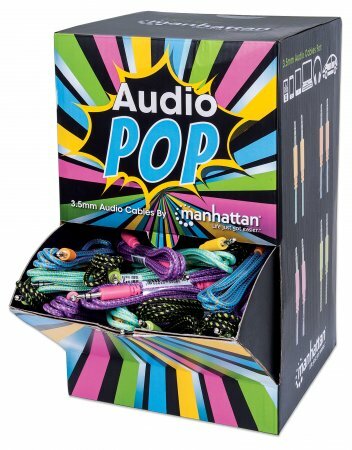 With MANHATTAN's iLynk AV Cable with USB you can now enjoy and share your favorite MP3, photos and video clips with your friends and family on the big screen. Manhattan SuperSpeed+ USB-C 3.1 to DisplayPort Converter - C Male to DisplayPort Female, Black, Retail Box, Limited Lifetime Warranty. 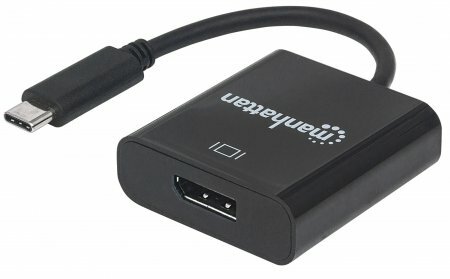 The Manhattan USB 3.1 to DP Converter establishes a fast, simple and convenient link between newer USB type-C equipped media sources (computers, tablets, etc.) 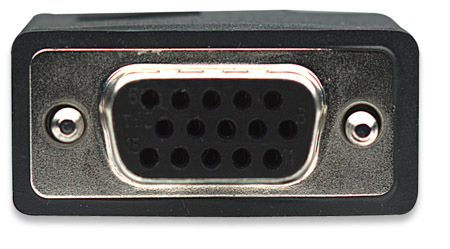 and existing DisplayPort displays (monitors, projectors and more). 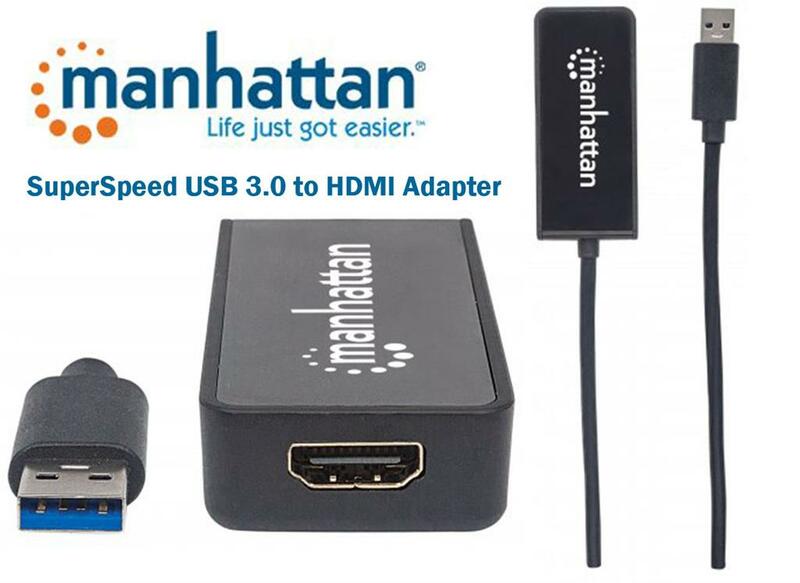 The Manhattan USB 3.1 to DP Converter is easy and quick to install--no complicated configuration or setup required. 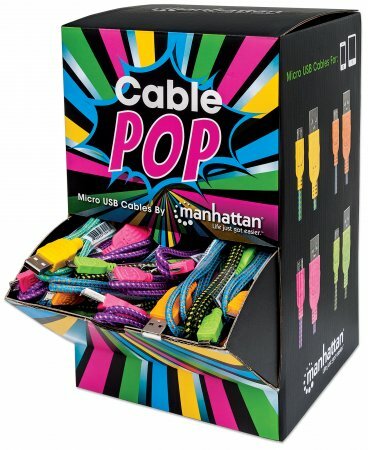 Its all-in-one design achieves a compact, integrated solution that eliminates unnecessary cables, tangles and clutter to keep installations and work spaces neat and orderly. 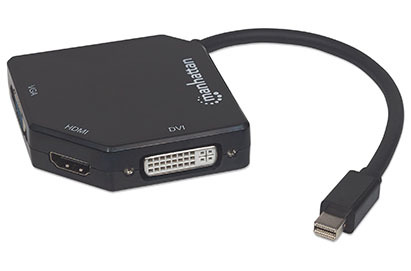 Extend the service life of your equipment, and fully realize the investment and value of your DP displays, projectors and peripherals with USB to DP converters.